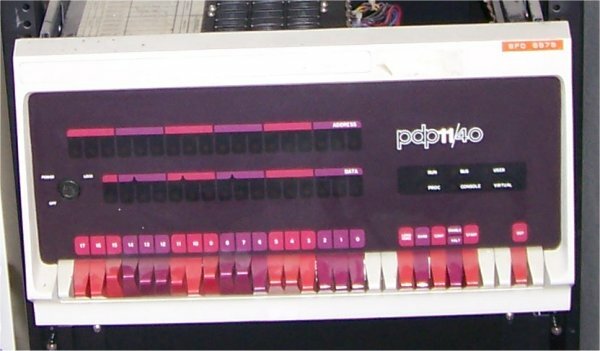 This is a fourth PDP-11/40 that I acquired in November 2007. It is in an H960 rack. The front panel is in good cosmetic condition. I have not attempted to do anything with this one yet. It was used for spares for the yellow 11/40 DecDataSystem that I acquired at the same time.